After an eternity in beta, Turbine's DC Comics-based MOBA has officially launched, complete with its own Steam page and everything. How about a celebratory stream? The entire DC multiverse is under attack, and heroes and villains from several different planes of unreality join together to battle for the fate of everything. 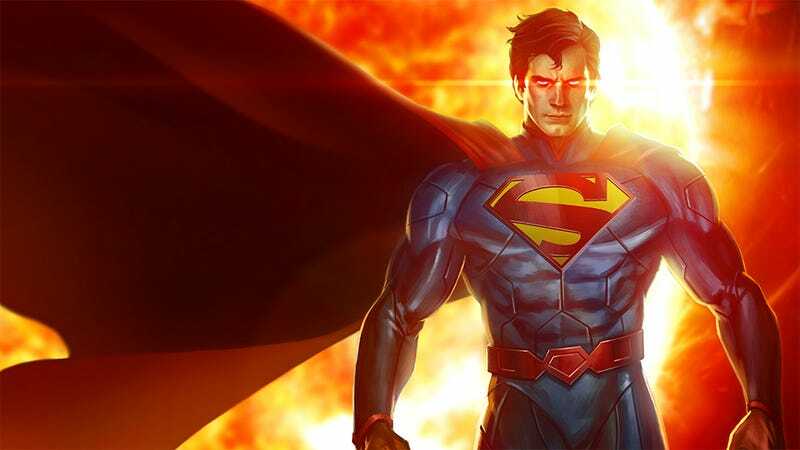 Infinite Crisis, like just about every other multiplayer online battle arena game, is completely free to play, with a regular rotation of free DC characters to control across various battlefields. If you're seriously considering playing, I would highly suggest picking up the Elite Pack DLC on Steam, which gives players access to all 33 purchasable characters in the game and a special gold Superman skin for less than $30 (until April 10). As for beta players who've already spent $28 or more in the game, they'll have all the characters unlocked for their account as well, which is incredibly cool. And when they say all characters, that includes the latest addition to the lineup, Superman's dog. Who's a good boy? He's a good boy. Enough with the chit-chat. I've not gotten a chance to play Infinite Crisis in months, so tonight's stream should be ridiculously entertaining for all the wrong reasons. Update: The stream is over, but here's two hours of my ugly mug in the bottom right corner of some game.